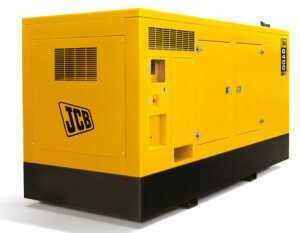 JCB Diesel Generator Set G400QX, weatherproof, soundproof with Scania engine. During continuous operation, the generator must operate in the range of 30-90% of its capacity (10% overload for 1 hour every 12 hours), without limitations hours per year. In backup operation generator is capable of operating at rated power (at variable load) maximum 500 hours per year, but not more than 300 hours continuously.